If you love the big Euro sedans and the 1970's, we have a real treat for you today. The W116 Chassis 450SEL 6.9 was a technological tour de force and successor to the original super sedan the W109 chassis 300SEL 6.3. 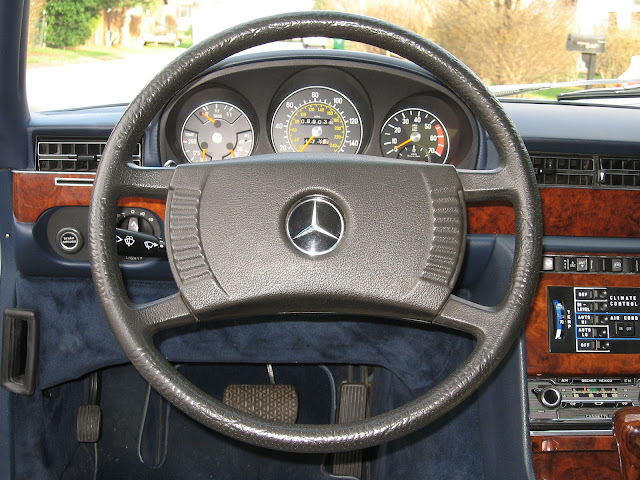 It was the first Benz to feature a self leveling hydopneumatic suspension design, electronic ABS braking, and mammoth K-jet injected dry sump M100 V8 engine. A little over 1,800 6.9 cars were sold in the US so they are not a common sight on the road today. If you are looking for the best performance sedan money could buy in the late 70's this is it. 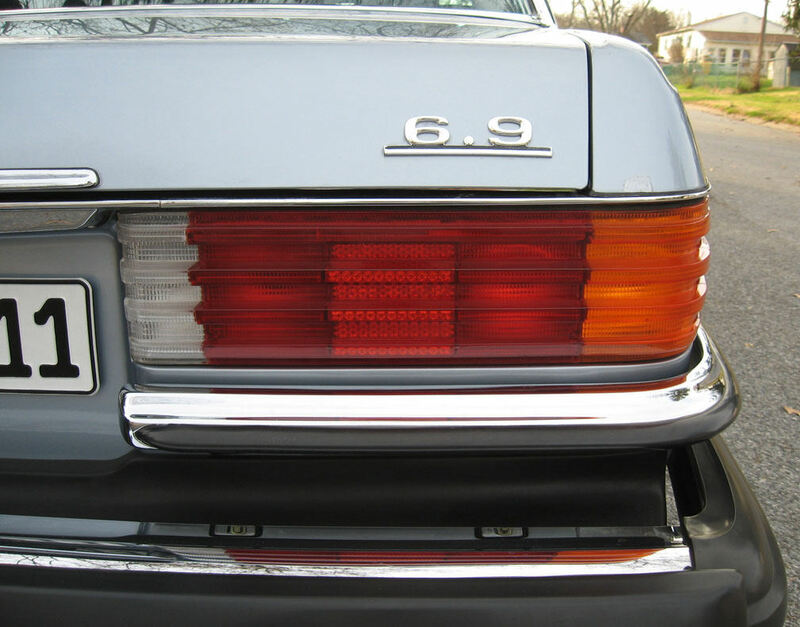 Find this 1979 Mercedes 450SEL 6.9 for sale in Northern Delaware for $17,500 via Peachparts Mercedes forum. 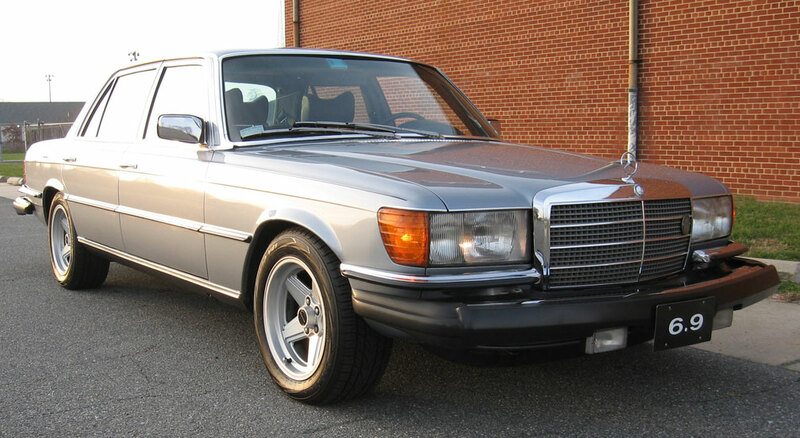 The seller has owned this 6.9 since 1990 and is a longtime member of a couple Mercedes forums. It is a USA spec car so it does have the ungainly bumpers, but the four eyes USA headlights have been replaced for Euro spec units. The car has a little over 90,000 miles and has always been properly maintained and cared for. 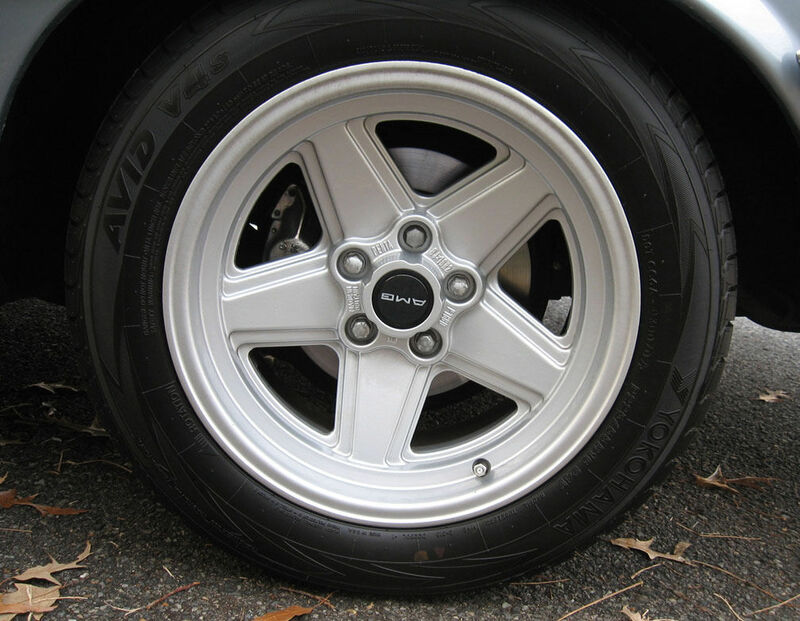 These suspension on these cars is a huge concern and can vaporize a bank account in the blink of an eye. Fortunately, it is noted that there is less than 10,000 miles on new struts, spheres, and hydraulic pump. The suspension does not drop over long term storage. One exterior repaint after a drunk driver sideswipe in the early 1990's is noted, but the exterior seems to be in excellent condition. A rebuilt transmission from Mercedes specialists Sun Valley in CA was installed in 2015. The blue leather interior is said to be in near new condition and real burl wood (I am looking at you Cadilac Escalade) trim looks excellent. The catalytic convertors have been deleted so the engine may be running closer to Euro spec horsepower numbers now. Cory is going to be trying to fix the electrical drain on his 1995 Mercedes C36 AMG over the long weekend. Sweet. "When the car was introduced into the North American market for the 1977 model year, the price was well past $40,000 and was $52,995 by the end of production." 250hp@4000 in N/A, & a combined 10mpg. I give this a solid thumbs up!